An hour’s ferry ride from the port of Termoli, in the province of Foggia, just above the heel of Italy is a divers’ paradise known as Isole Tremiti. The archipelago is made up of five islands that are often referred to as the ‘Pearls of the Adriatic’, an odd epithet considering the name of these islands that form part of the Gargano National Park are named after their history of under-sea earthquakes and seismic activity: tremiti literally means quakes or tremors. The beauty of the islands is juxtaposed with its chequered history. Julia the Younger (19BC – 29AD) was exiled to one of the islands by her grandfather, the Emperor Augustus, for having an affair with the Roman senator Decimus Junius Silanus. Charlemagne had his father-in-law sent here, after barbarically removing his eyes and limbs. During Benito Mussolini’s fascist regime, the islands were used for the internment of political prisoners and men accused of homosexuality. Now, however, the islands are a thriving tourist attraction because of the many coves and grottoes and the clear waters that are ideal for snorkelling and scuba diving. One of the things that make these isles in the Adriatic so appealing is the absence of motor vehicles. San Domino is the most developed of the islands and is perfect for coastline walks: it takes two hours to walk the length of the island, however for anyone wanting to get around by pedal power, there’s a bicycle hire establishment at Piazzetta San Domino. 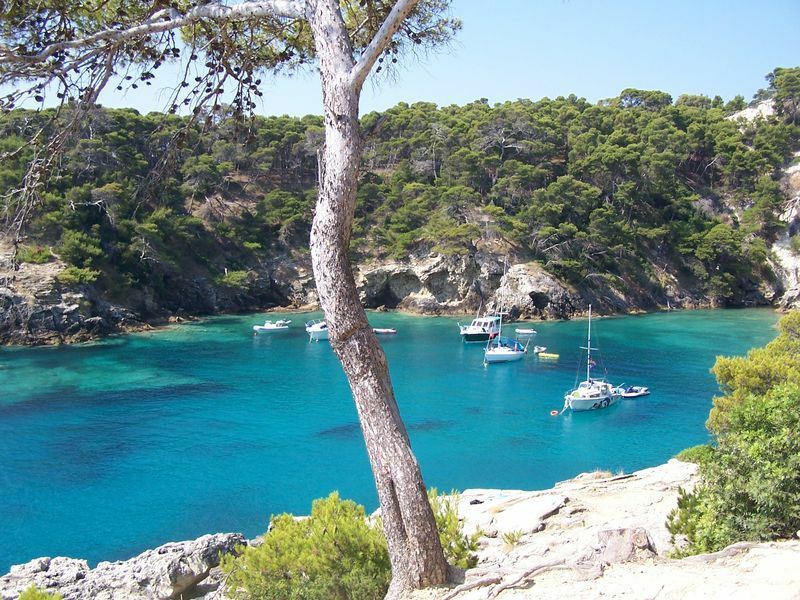 For those wanting to relax, the island has the only sandy beach in the archipelago, at Cala Arena; but arrive early in summer as this is a very popular spot with visitors. This island is a naturalist’s paradise, great swathes of land are covered by fragrant Aleppo pine and in the summer the abundance of flora can be breathtaking. Two popular tourist attractions are ‘The Elephant’, a great rock formation near Cala Matano that resembles a 20-meter-high pachyderm drinking from the sea, and the ‘Cave of Swallows’, where crystalline waters allow you to watch the fish below the surface and sea swallows swoop in to tend their nests in the spring. 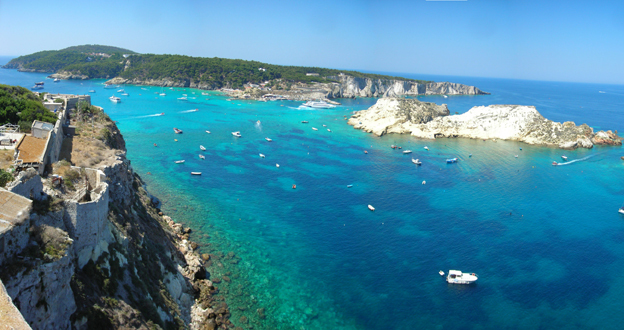 At Cala Zio Cesare, it is possible to dive to a Roman shipwreck that lies 24 metres down on the seabed. San Nicola is the most populated of the islands and the religious and historical centre of the archipelago; originally, it was the site of an ancient monastery where legend tells of violent storms breaking out to thwart anyone daring to remove the remains of a monk named Nicolò. The 42-hectare island is considered by many scholars to be a natural open-air museum, where tourists can get lost among the fortifications as they wander through towers and monuments, including the pretty church of Santa Maria a Mare. San Nicola is perfect for an afternoon get away from the tourists that flood onto San Domino for sunbathing and swimming; this said, there are still a small amount of hidden coves that are ideal for anyone wanting some ‘quiet time’ and the crystal clear sea makes for excellent swimming. Although these two are the only inhabited islands, it is possible two visit the other three by boat, if only to take in the savage scenery or to scuba dive in the surrounding waters. Cretaccio is little more than a 3.5 hectare mass of yellow clay and hardly worth stepping ashore, however from a passing boat its appeal lies within its rugged beauty that is sadly being eroded away. Capraia may be uninhabited, but makes for an interesting short visit. Smaller at just 45 acres, its natural architecture is perfect for photographers and videographers; in the early evening light, the deserted island takes on an eerie feel. Pianosa is a desolate place a further 22km out to sea and lies low in the water, meaning much of it is hidden by the sea; due to this, it is devoid of any vegetation. A good idea is to spend the morning visiting any of the uninhabited islands arriving back at either San Domino or San Nicola for lunch at one of the many bars and restaurants, before taking in the larger islands at a leisurely pace. The Tremiti Islands are accessible by sea from Vasto (CH), Termoli (CB), Rodi Garganico (FG), Peschici (FG) and Vieste (FG). There are several operators providing pre-booked travel over the internet, but take time to shop around for a good deal and remember you can often get a better price on the day at the local booking offices.